These past few weeks, I've been stretching my gaming thumbs getting ready for the Gamers Northwest Disney marathon coming March 22. I've committed to playing a couple of different games I've been having some non-ironic and some ironic fun practicing. 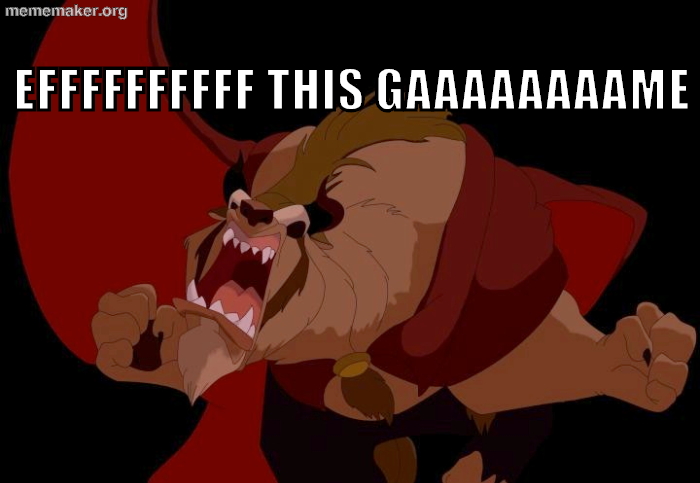 I signed up for Beauty and the Beast and Kingdom Hearts, both pretty different from what I'm used to. 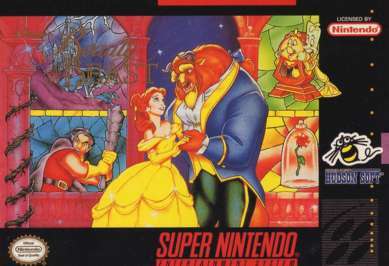 I'll start with this: I didn't even know that there was a Beauty and the Beast game for the Super Nintendo! Belle was always one of my favorite Disney Princesses when I was little. 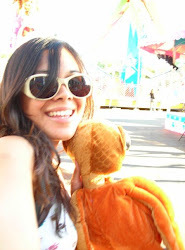 It was between her and Ariel, because Belle has brown hair like me, and she really likes books like me. But Ariel is a mermaid, and damn that's cool! 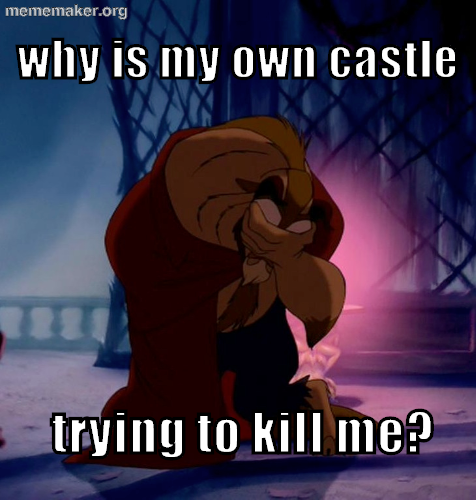 In Beauty and the Beast, you play as Beast, trying to persuade Belle to fall in love with you, while everything is trying to kill you... that's everything from wolves in the forest and some of the more malevolent enchanted household items in Beast's castle (which makes no sense to me, actually). It's a tough game (more on that later), and practicing it can work up a good appetite. For this game, being set in France, I felt a certain pressure to make a fancy version of my usual gamer fare: no veggie bologna sandwiches here. 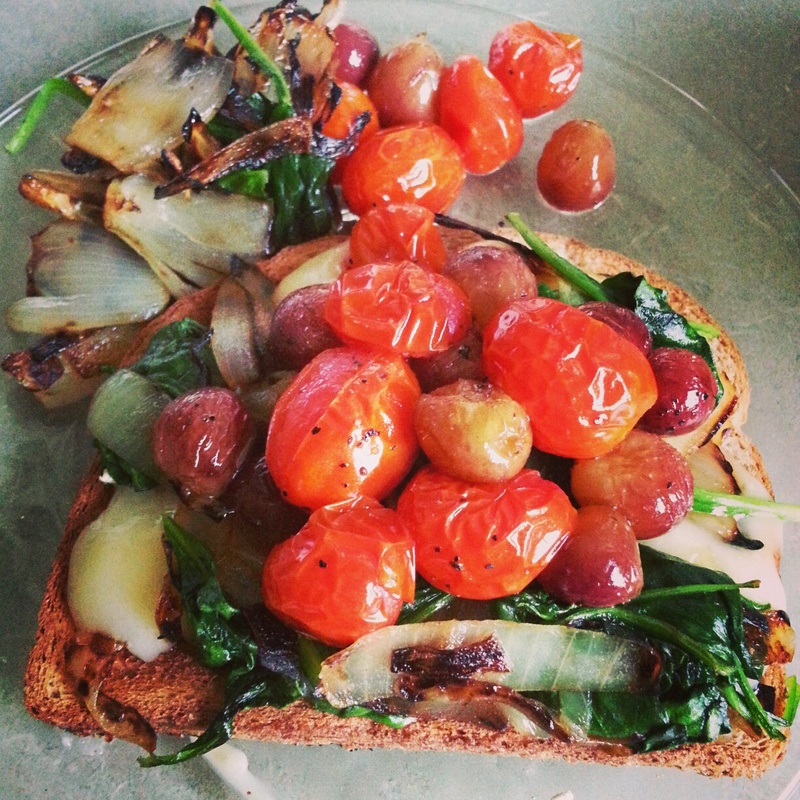 I came up with the poshest sammy I could: roasted tomatoes and grapes over caramelized onions, sautéed spinach and brie over toasted grain bread. I call it the Fancy Pants Sam. 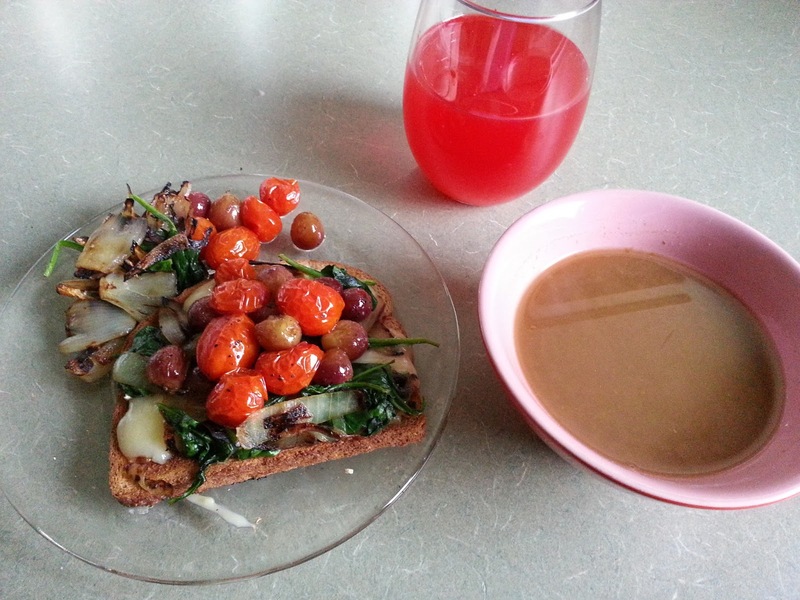 Toss grapes and tomatoes together with 1 tablespoon of oil to coat. Season with salt and pepper. 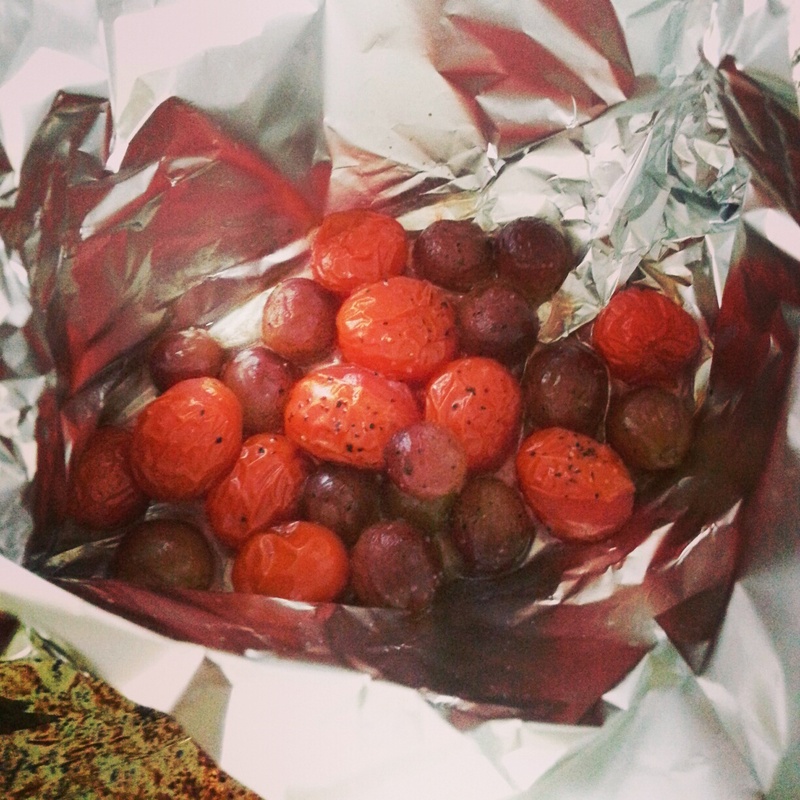 Lay a single layer of tomatoes and grapes on foil on a baking sheet. Fold up the sides of the foil to make a little bowl around the fruit. This will help keep all the juice from the grapes and tomatoes from sloshing everywhere as they cook. Place the baking sheet on the middle rack of your oven and roast the grapes and tomatoes for 20 - 25 minutes. Meanwhile, heat a pan and melt margarine or butter in it. Add onions. Cook on medium heat until onions caramelize, turing slightly brown but not burned. 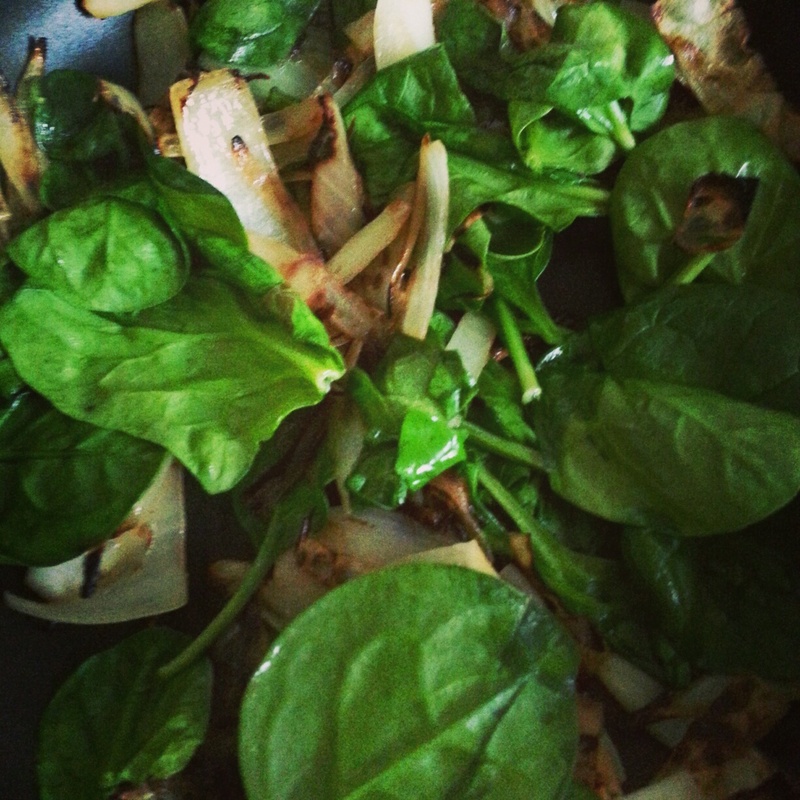 When the onions are cooked down, add in spinach and stir with onions to wilt. The smell of cooked onions should be filling your kitchen and smelling absolutely heavenly. Remove the pan from the heat and set aside. Toast your bread either in a toaster or by popping it in the oven for a few minutes. 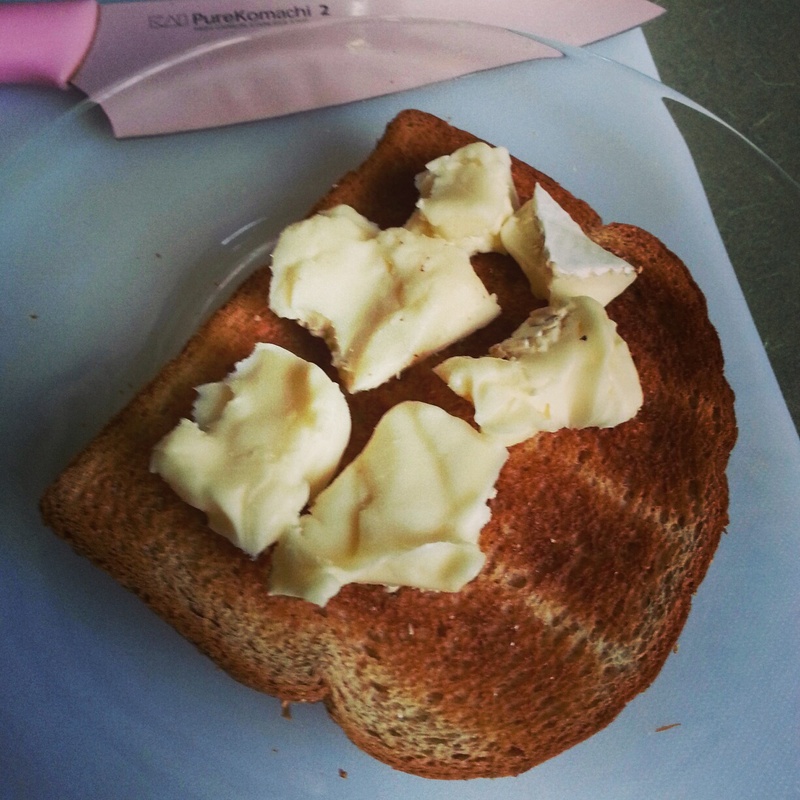 Arrange the brie slices on the bread. When the grapes and tomatoes are done, remove the baking sheet from the oven. They should look a little shriveled, juice everywhere, and they should smell amazing. Leave the oven on. Now it's time to assemble your Fancy Pants Sam! Lay the onions and spinach over the brie first, covering all the cheese, then top with the grapes and tomatoes. I had some of the veggies and fruit left over, so they became a small salad for my meal. 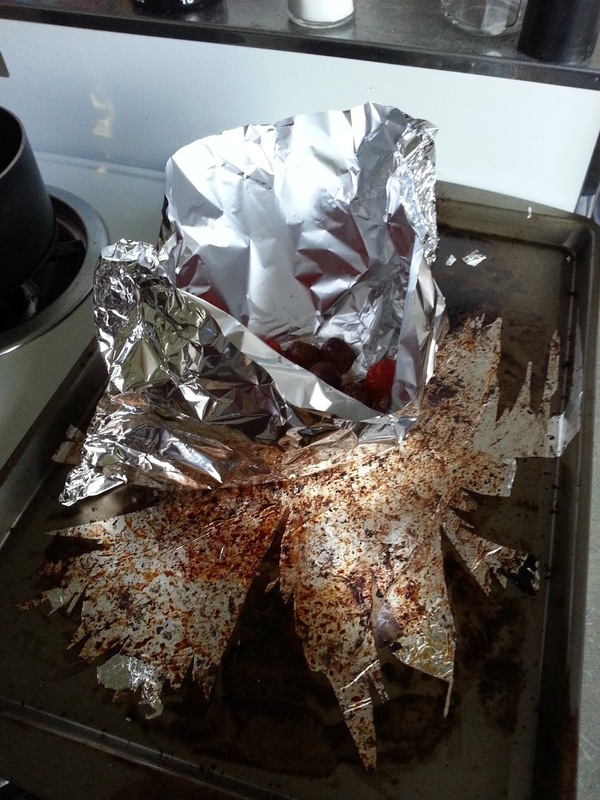 Put the sam onto the baking pan and place back into the oven for 5 - 10 minutes, or until the cheese is melted. I had mine with some French onion soup, and a glass of kool aid, because I was playing 90's video games that day anyway. Juicy, rich, sweet and crunchy, this sam made me very happy.